The festival has offered a remarkable week of music making and has a full schedule through the weekend. 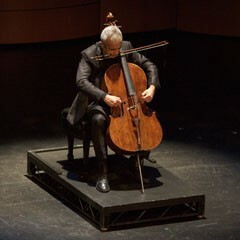 The Huffington Post has already published a list of “Ten Essential Picks for the Piatigorsky International Cello Festival.” Where Magazine featured the festival under the “Hot Dates” section of its April issue and included it online as well. Concerts from the festival are listed among the best shows in LA by Grimy Goods and the festival was included on the well-known LAist’s “20 Things To Do In Los Angeles” list. Andrew Shulman’s participation in the festival was covered by DoLA , and the festival was mentioned by PasadenaNow.com.